Every new year begins with resolutions. Be a better me, go to the gym, watch what I eat, get more organized, take more time to relax – these are all the same resolutions I vow to myself year after year. Here we are at the start of 2018 and I sit here with the very same list of resolutions, but this year I’ve decided to up my game and add one more resolution. I’m taking the leap and starting the process to free myself of glasses and contacts. I simply want to wake up and see the world through a new, clearer pair of eyes! No more fumbling to feel for my glasses to read the clock, no more torturing my tired eyes with a pair of contact lenses at the crack of dawn, no more glasses bouncing around on my face at the gym if my eyes are not cooperating with my contacts. This year I am setting my sight on a clearer, brighter 2018 and I am looking forward to sharing my journey with you! Just a little history, I began wearing glasses in the 5th grade. Well – I was SUPPOSED to wear glasses in the 5th grade, but for the majority of the time I would put them on for all of 5 minutes to read the board in school and just as quickly pop them back into their case. I could read without them, but despite the fact that I struggled seeing anything in the distance, I learned to live with blurred backdrops and relied on “the squinting method” to see what it was I needed to see. Basically, I never felt comfortable in my glasses. I hated how I looked, I hated the way they felt. Then I started getting involved in sports and my vision just continued to worsen. Finally the eye doctor suggested contact lenses and from then forward I never went back. Until the past year or so I rarely wore my glasses in public and even today I still don’t love the way they make me look or feel. Throughout the years, many friends have had LASIK surgery with excellent results. The idea of pursuing LASIK as an option has always been on my mind. Now after more than 20 years of consideration I am ready to take the next step with laser eye surgery. 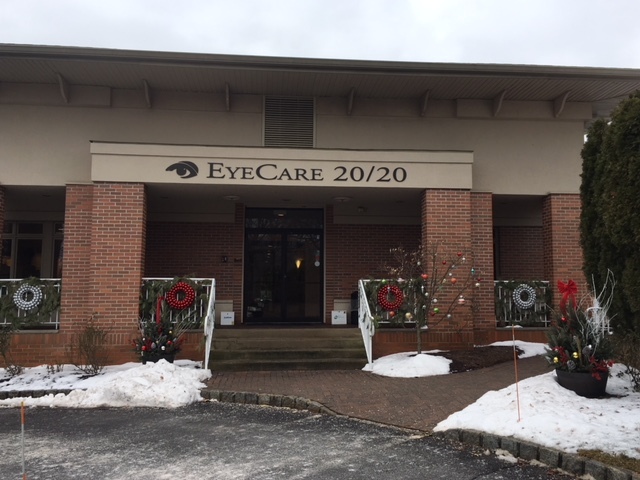 Back in November I made an appointment for a free consultation with Dr. Cary Silverman at EyeCare 20/20 in East Hanover, NJ. Obtaining an appointment that fit into my busy schedule was quick and easy and the staff could not have been more pleasant and professional from the initial phone call through every step of the appointment process. Upon arrival at the office, I was quickly greeted by the staff and offered a seat in the spacious waiting area to fill out my paperwork. Immediately I was impressed by the cleanliness, brightness and overall comfort of the environment. 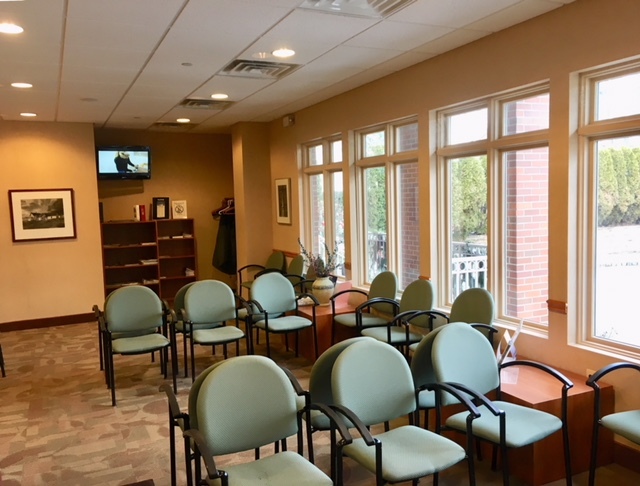 Complete with a TV, magazines, a small child friendly area and a complimentary coffee station, patients can certainly relax and keep their mind at ease while waiting to see the doctor. 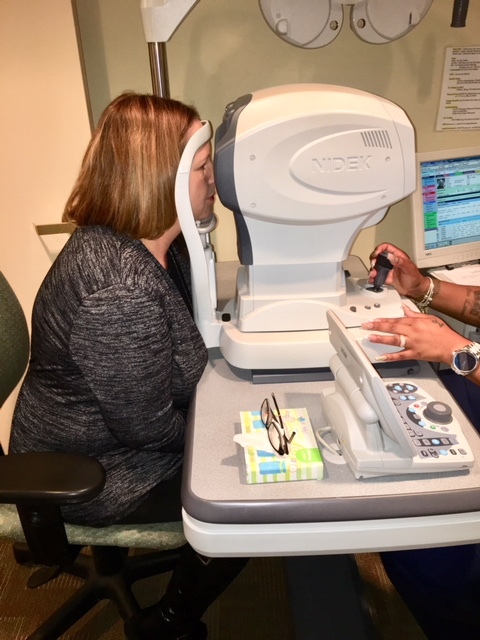 My appointment began with a series of tests similar to those you receive at a regular eye exam but a little more involved. Each test only takes a few minutes and all are fairly quick and completely painless. At the completion of testing I was introduced to Dr. Silverman and brought into an office where we began discussing the results of my testing. The first thing I noticed about Dr. Silverman was his warm, welcoming smile. From the minute I walked into his office and he shook my hand, I could tell that he absolutely loves what he does. 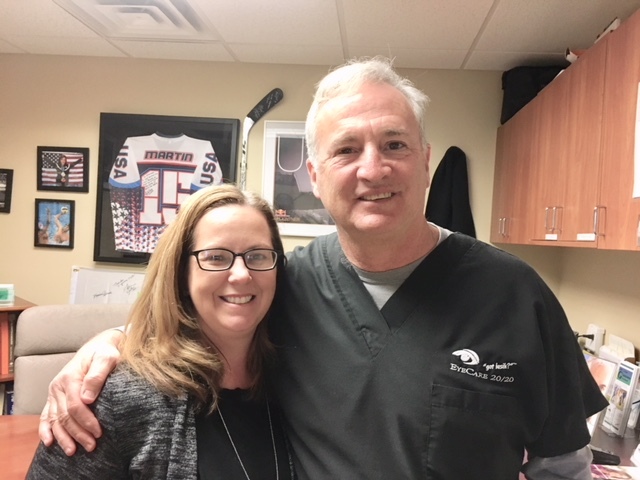 A quick glance around his office – and throughout the entire building for that matter -are letters and pictures and smiling face after smiling face, thanking Dr. Silverman for his care. He immediately made me feel at ease. However, I will not lie – up to this point I was very excited but the nerves started to creep in as I waited to hear what he had to say. I started to second guess myself. Should I take a chance with my eyes? Is this surgery truly safe? Would my nerves get the best of me and change my mind? This was the time to start mentally preparing myself for this possible life changing experience. I took a deep breath as I glanced at my test result screen with Dr. Silverman. Have you been considering LASIK or PRK? Do you have any fears or misconceptions? Are you curious what to expect? If so, I encourage you to follow my Laser Eye Surgery Journey with EyeCare 20/20 over the next few weeks on Facebook, Twitter and Instagram. Here I will be sharing my very own personal experience with you. During my journey you can feel free to post questions and hopefully I can help you better understand what I am seeing and feeling as I go through the procedure from start to finish. Many thanks to Dr. Silverman and EyeCare 20/20 for partnering with me to make this experience possible. 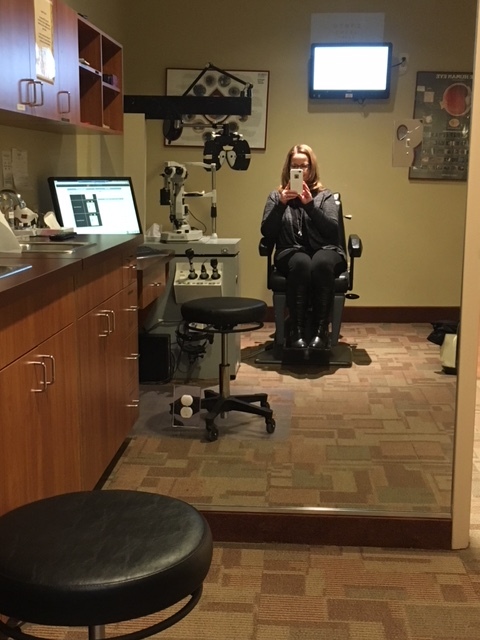 I hope you will come back tomorrow to find out more about what my test results revealed and whether or not I would be taking the next step toward laser eye surgery! If you have already had laser eye surgery, please feel free to chime in by leaving a comment with your experience as well. I know when I started my research, personal experiences had a huge affect on my decision to move forward. Follow the links below to read through my whole journey! This is wonderful! Great pictures, by the way! I don’t know much about PRK and I’m extremely curious to hear about your experience!! Good luck!! Wow, thanks for sharing your story. Eager to hear more. The laser eye surgery procedure is even faster now and you don’t feel the thin layer of the eye is cut open you know its happening but you just focus on a light also your eyes won’t burn you won’t blink. Great, Thanks for sharing. Everybody needs to attentive about eyes. My mom is also going to have an eye operation soon, thanks for sharing your experience and letting us know about it.